This interactive iBook combines history, photography, voice and text as a contemporary tribute to a remarkable American hero, Ulysses S. Grant. Foreword by Ulysses Grant Dietz, preface by Fred Ritchin, readings from Grant’s Personal Memoirs by Edoardo Ballerini. InterlocutorPress, 2016. This volume is a collection of trifles that become matters of remarkable social commentary when Traub photographs them - “For me, serendipity, coincidence and chance are more interesting than any preconceived construct of our human encounters.” (Charles H. Traub) - in a hundred plus images Traub seems to have captured the common incongruities of a global society. Traub’s monograph is a time capsule of intimate color portraits of everyday people passing on the streets of Chicago and New York City in the late 1970s. Text by the photographer. Damiani, 2015. The book presents essays on photography and the moving image alongside interviews with artists and filmmakers. It brings together a diverse selection of practitioners, critics and scholars to explore the medium’s ongoing importance in the digital era. Co-edited by Adam Bell. University of California Press, 2015. Sensual and sad, bursting with color and pleasure, magnificent even in its melancholy. Traub’s pictures from the streets of Rome, Florence, Naples, and a number of other cities, capture the eternal nature of Italy, and the very nature of its lively people. Introduction by Max Kozloff, Dialogue by Luigi Ballerini. Damiani 2014. This luminous black-and-white collection from the photographer’s earliest works in Kentucky and Illinois. Text by the photographer. Gitterman Gallery, 2011. In the mid-1970s the clunky Rolleiflex SL66 enabled Traub to make compelling pictures out of what some may have thought as banal, and not inherently visual, into monumental forms of an out-of-whack world. Introduction by Marvin Heiferman. Gitterman Gallery, 2006. This monograph is a photographic narrative on the human condition in the late-20th century. Pictures taken “on the fly” in the course of 20 years of encounters with human comedy compose these witty and anecdotal scenarios. Introduction by Luigi Ballerini. The Quantuck Lane Press, 2004. A richly illustrated primer for designers, artists and humanists, this book illustrates the roots of all forms of creative expression and their evolution through digital technology. It is a seminal collection and cross-indexing of that which makes us human in the electronic age. Co-authored by Jonathan Lipkin. Pearson Prentice Hall, 2003. This is an 865-page collection of photographs from those whom contributed to the remarkable grassroots exhibition that memorialized the tragedy of 9/11. In book form, the collection iterates the cathartic and celebrated exhibition that traveled throughout the world in the years following the fall of the World Trade Center. Conceived and organized with Michael Shulan, Gilles Peres, Alice Rose George. Scalo, 2002. In an imaginative collection of photographs and texts Traub brings together three arts for which the quarry is often allusive and in need of patient skillful pursuit: fishing, photography and literature. Introduction by Charles Kuralt. Rizzoli, 1990. Here is a book that ask you to rethink Italian history from scratch –Umberto Eco. 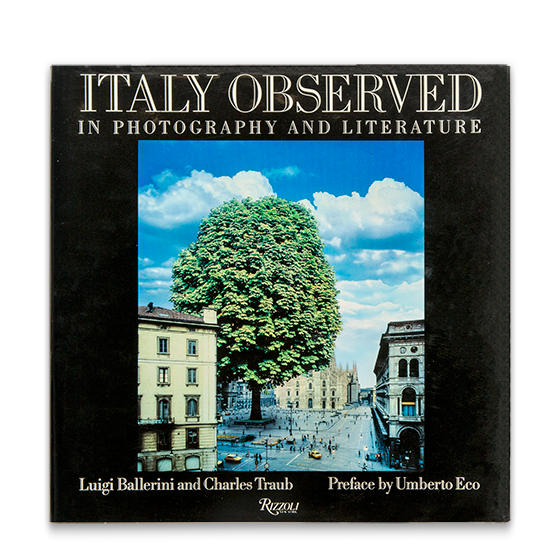 Through striking images taken by American and Italian photographers, paired with selections of witty, and sometimes truculent, excerpts by great Italian and American writers, the authors have created a portrait of Italy that is ironic, passionate, and particularly engaging because of the juncture of word and picture. Co-authored by Luigi Ballerini. Rizzoli, 1988. Concurrent with an exhibition on the history of dance photography held at the Teatro Municipale, this comprehensive collection of photographs represents the jewels of a very specialize discipline of the lens art. Curated with the help of Ruth Silverman and Gerald Ackerman. Teatro Municipale, Reggio Emilia, Italy, 1983. In its first four decades, The Institute of Design in Chicago was the most influential photography program in the United States. Traub recalls the school’s history from a personal viewpoint through interviews and a collection of 100 photographs from its teachers and alumni—great photographers all. Introduction by John Grimes. Aperture, 1982. This monograph of Charles H. Traub's photographs is a “feast of images from the lakefront of Chicago...an accomplished, miraculous blend of genial acceptance and critical caricature.” –Aaron Siskind. Horizon Press, 1978. NO PERFECT HEROES: PHOTOGRAPHING GRANT is a contemporary photographic tribute by Charles H. Traub to Ulysses S. Grant’s legacy. A singular synergism of art, history, image, sound and interactivity offering a sensory experience into a remarkable man’s story, and his immeasurable role in saving the Union. The issues confronted by Grant, in his deeds and writings, offer fresh insight for a country still divided politically. Foreword by Ulysses Grant Dietz | Preface by Fred Ritchin | Readings by Edoardo Ballerini One hundred and fifty years after the death of Ulysses S. Grant history has begun to vindicate this great, yet often maligned, general. A humble man of strikinginsight, Grant is finally appreciated for the steadfast leader and visionary President that he was. INTERLOCUTORPRESS is pleased to release this iBook, that allows a unique personal experience for the viewer- a responsive exchange between image and text. The experience is heightened by the voice of the talented Edoardo Ballerini, who brings Grant alive, reading excerpts from his Personal Memoirs. Grant’s writings are considered one of the great pieces of American non-fiction literature. Ulysses Grant Dietz is the great-great grandson of President Grant. For more than thirty years he has been the senior curator of the Newark Museum in New Jersey. He is a prolific fiction author, and the creator of the book series Desmond, which expanded the canon of vampire literature. Dietz has been tireless in his contribution to the correcting of the Ulysses S. Grant legacy. Fred Ritchin is dean of the International Center of Photography School. He was a professor at New York University, and co-director of the NYU/Magnum Foundation Photography and Human Rights educational program. Ritchin co-founded PixelPress in 1999, and collaborated with humanitarian organizations such as UNICEF, WHO, UNFPA, Crimes of War, and the Rwanda Project. Edoardo Ballerini is an award-winning actor, writer, and director, and an acclaimed reader of audiobooks. He appears on stage and screen, including performances in Dinner Rush, The Sopranos, and Boardwalk Empire. Between 1977 and 1980, Charles H. Traub ventured onto the streets of Chicago, New York and various European cities to take photographs of their inhabitants–male and female, young and old-at lunchtime. Colorful and direct, animated and intimate, the portraits are shot close to the subjects, composed seemingly off-the-cuff, focusing on just their heads and shoulders. Each subject reveals something of himself or herself to the camera: the woman who takes the opportunity to pose in dignified profile or the one who purses her lips in an exaggerated pout, even the somewhat less fortunate subjects caught adjusting their glasses or blinking. Lunchtime is the first comprehensive publication of these striking color images, which were exhibited in the early 1980s in Chicago, New York and Milan. This volume maintains the cheerfulness and joy of the series, with lively pairings of photographs encouraging viewers to associate one individual with another in a new narrative of the street. The ubiquity of digital images has profoundly changed the responsibilities and capabilities of anyone and everyone who uses them. Thanks to a range of innovations, from the convergence of moving and still image in the latest DSLR cameras to the growing potential of interactive and online photographic work, the lens and screen have emerged as central tools for many artists. 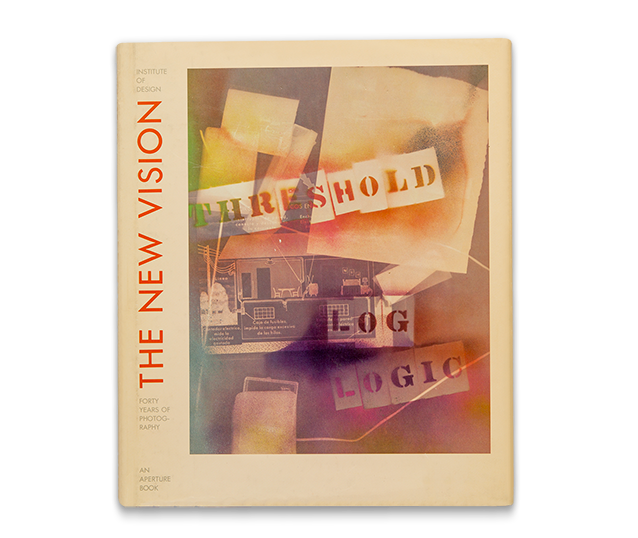 Vision Anew brings together a diverse selection of texts by practitioners, critics, and scholars to explore the evolving nature of the lens-based arts. Edited by Adam B. Bell and Charles H. Traub Vision Anew, 2015. When these pictures were made, I was still in my salad days. A “yute!” “youth!” An admirer! A wannabe! I was looking for me. Hip lifestyles, pseudo spiritualism and pot euphoria teased maturity. Nature was the supposed alternative to the material pursuits and the junkyard of suburbia, but from my service experience I knew all too well the vicissitudes of its wrath. The darkroom was safer than the tent. 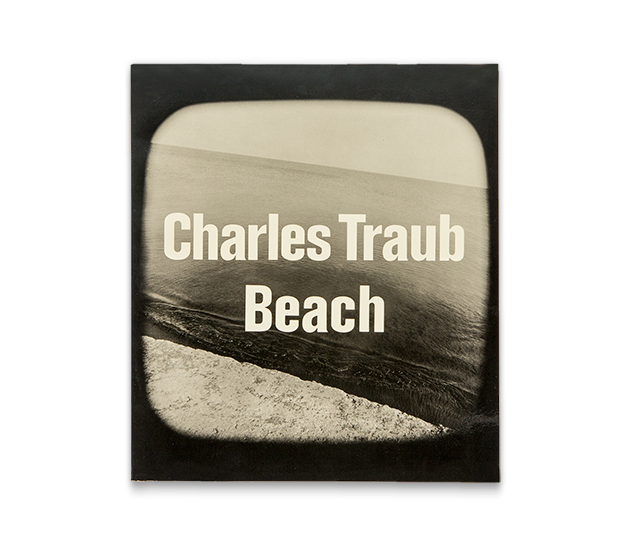 What Traub had captured with his camera lens took on new life in the darkroom: it became an object of his creation. The pictures in this book were made from the mid 1980’s to the present. The large majority of them sat for nearly twenty years in a plastic box disassociated from any specific idea. I took them on the fly while conducting other photo business—editorial, commercial and the like. Only recently did I understand that they are connected to and are the impetus for my current work. They are all still lives made from my passing http://traubstudio.net/in-the-still-life/observations of the real world. All of these images are now transformed by time and new associations and have little connection to any reason for which they might have originally been made. They are ascribed new roles via their ability to stimulate the viewer’s own memories or fantasies of similar passages through the social landscape. I hope that the strength of these images is that they assume different guises for different people yet remain relics (still lives) of the period and places in which they were made. For myself, I do not divorce the illusionary aspect of the photographs from the things that I know are real in the world. here is new york was founded in response to the events of September 11, 2001, and to the flood of images that resulted from it. The idea was simple: to present images of the event by as many different people and from as many different perspectives as possible. In the days following September 11th, the organizers asked for pictures from photographers of every description, not only top photojournalists and other professionals, but also from rescue workers, firefighters, police officers, school children and amateurs of every kind. In order to underline that it was the images rather than their makers that mattered, the photographs were all digitally scanned, printed out in exactly the same format and hung from wires without attribution or frames in a downtown Manhattan storefront. Direct without being voyeuristic, these images convey an array of responses to the tragedy, bear witness to what seemed unimaginable and memorialize both the people who perished and all those who served so heroically. As painters, sculptors, writers, and connoisseurs have always known, Italy is the place where art and life come together. The truth of such an observation can be seen in this beautifully designed new book. Through some of the most striking photographs taken by American and Italian photographers in the past 25 years, and a selection of witty, trenchant, sometimes truculent excerpts from letters, diaries, essays, short stories and novels by 74 American and Italian writers of the past three centuries; it provides a portrait of Italy that is sometimes ironic in tone but passionately committed to everything making that country the spiritual homeland of all who love art. Luigi Ballerini and Charles Traub take us out of the confines of Venice and spread all of Italy at our feet. They also take us from the world of fantasy to the world of perception. The authors present famous travelers’ observations of the country and its people. Nathaniel Hawthorne celebrates the ruins of the mighty Roman Empire, while Henry Wadsworth Longfellow waxes poetic about the Eternal City itself. Other literary snippets include Emerson’s complaints about Venice (he finds himself “always at sea” there), and Melville’s complimentary but clipped view (“Rather be in Venice on rainy day, than in other capital on fine one.”) But the beauty of this book lies in its photographic interpretation of the country and its people. It is a photographic potpourri that delights, page after page. This coffee table book show writer and photographer engaged in contriving—angling—to make an image probable through artifice. Trying to take advantage of the synergism that results from combining writing, photography and fishing, Traub has made artful juxtapositions. The pairings of the quotations and photographs are not necessarily illustrative of one another but are intended to create an unexpected view of angling and its aspects. As a pictorial of modern fishing and photography, the book has scholarly, historical and sociological interest. By daring to include photographs from public fishing areas in America—complete with beer guts, bait buckets and poor-fitting bikinis, along with some of the most remarkable fishing photography of the last century, this book provides a refreshing change from the standard images. Adapted from a review by Tom Rosenbauer,The American Fly Fisher, 1991. This book highlights the history of two very popular art forms—dance and photography—and their relationship, which began in opposition. Photography was concerned with realism, whereas dance aspired to illusion. In a century of their association they have become closely intertwined because of a common appreciation of modern aesthetics. When radical shifts and refinements occurred in the dance, they concurrently took place in photography. The rise of modernism found its equivalent in both arts. Although it would be difficult to say that developments in one of these arts directly affected the other, it is clear that the practitioners of each related to each other's challenge. As the postmodern age begins, their influence is reflected in the eclectic attitudes that are today a consummate part of both these media. As long as this search for beauty and truth persists, practitioners will discover new visions in new forms, breaking with previous perceptions of how these visions should be shaped. Curated and Edited by Charles H. Traub with the assistant of Gerald Ackerman and Ruth Silverman. In interviews and photographs, students and teachers of Chicago’s Institute of Design—The New Bauhaus—recall the innovative spirit and socially relevant education that have made the school a vital force in photography. This book complimented the first major survey of the its remarkable photographic heritage, and was curated by Charles H. Traub in an exhibition at Light Gallery, New York, and travelled the country. Edited by Charles H. Traub. Introduction by John Grimes. Aperture, New York, 1982.